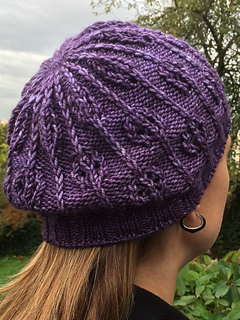 This hat was originally released as a JANe kit for Knit Fit 2014. According to Ralph Waldo Emerson, “beauty is its own excuse for being.” But the beauty of Rhodora is an excuse for knitting! Eyelet blossoms grow out of the hat’s ribbing, creating an intuitive pattern that will entice your eyes and your fingers to bring some more beauty into the world!